Bella Sunshine Designs is offering a new free pattern to celebrate 2 years since Melissa started designing. I helped test the Reagan Raglan and thought I’d share my thoughts about the pattern. The Reagan Raglan is the first raglan I’ve ever made, and the first ‘v’-neck I’ve ever sewn. I’ve heard ‘v’ necks are tricky and I agree that getting the point smooth take some fiddling and pinning, but I was pretty happy with my results. I’ve also heard a little talk about raglan sleeves and how they should NOT be cut on the fold and NOT be straight lines. I’m happy to report that even though this is a free pattern, the Reagan Raglan sleeves are asymmetrical and have some curve to the shoulder seams. And…Melissa included an separate bodice with a Full Bust Adjustment already done. I personally don’t need it, but it’s still kinda cool. Similar to the women’s Maggie Top, the Reagan Raglan has relaxed fit. It’s meant to skim your sides but not hug them. That’s also great for hiding any curves I don’t want showing. The ‘v’ neck is perfect for me-not too high but also not cut so low I feel like I’m showing cleavage. My one problem with the fit is a small bubble in the right front shoulder seam. At first I thought it was a problem with the pattern, but now I think it has more to do with how I stretched the neck band when sewing it on. I’m use to round neckbands where you essentially divide the neckband into 4 sections and stretch it to fit the neckline within the 4 sections. This ‘v’-neck has you attach the ‘v’ part, pin in the center back, and then stretch the neckband to fit in those two halves. The side that has the bubble is always the last part of the neckband I’m sewing and I think It has too much neckband. I’ll try to be more mindful of evenly stretching the neckband on the next one I make to see if the problem is fixed. Or that little bubble could just be my wide shoulders again…My measurements put me in between a size 4 and 6 for bust and 6 for waist and hips. I made the size 6 hoping it would give enough room for my shoulders (cause I have no idea if there is even wide shoulder adjustment for raglans) but maybe they are still causing problems. I didn’t make any adjustments to this pattern. However, I probably will grade down to a 4 for hips in the future because even in a relaxed fit, I like my shirts to skim my hips just a bit more. I don’t want to feel like I’m wearing a tent. seem to give this pattern a ‘sporty’ look. I took a risk and made a version with ruffle fabric and it just doesn’t seem to match the style of the ‘v’ neck completely. But it definitely looks better tucked into my skirt. The Ladies Reagan Raglan is a good representation of Bella Sunshine Designs. 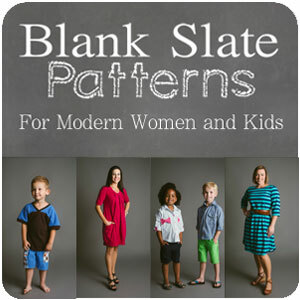 It’s got a nod to vintage and doesn’t take any short cuts just because it’s a free pattern. While this pattern doesn’t have lots of options, I think it’s a good raglan and gives you a great introduction to BSD patterns. You can pick up at copy at Bella Sunshine Designs (affiliate link) but you can also join the BSD Facebook Group and get a code to get it free! AND a matching pattern for little girls! Check out my post for the Color me Lucky blog tour to see more pictures of the striped shirt. The ruffle fabric was hard to photograph a good look at the back so I included the back of the striped shirt. Dislikes or desired changes? I keep getting a little bubble on one of the front side seams. It might be from not stretching the neckband evenly along the front. Would you recommend it to others? Yes. It doesn’t have tons of options but it does have a separate bodice with a FBA already done. I think a lot of women will get a good shirt from this pattern. The ruffles seem more classy and the raglan seems more sporty. It’s a little bit of a clash between the two. It does look very well constructed though.